2018 was a banner year for big budget, blockbuster video games. But at the same time, it was also a banal year for big budget, blockbuster video games. From God of War, Monster Hunter World and Far Cry 5 to Spider-Man, Red Dead Redemption 2 and Assassin’s Creed Odyssey, a lot of money was spent in the pursuit of some pretty conservative ideas. To be a sprawling open world crammed with violence, collectibles and incremental gear upgrades is just about the least interesting thing a video game can be in 2018. Fortunately, there’s a whole world of games outside the so-called triple-A space. It’s a world that celebrates the lo-fi, embraces diversity, explores the obscure and champions originality. 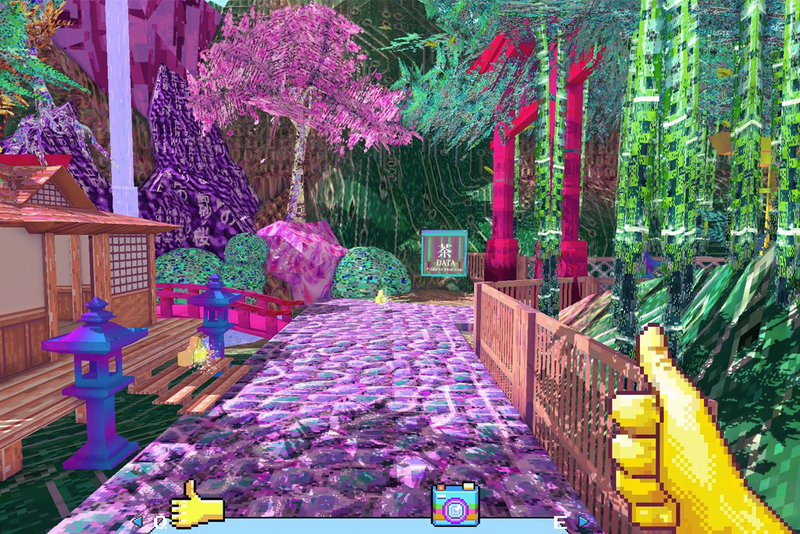 These are the bravest, strangest, most unconventional and experimental–and, yeah, just plain weirdest–video games of the last twelve months. This satire of the internet will have you chuckling along as it pokes fun at the gaudy sincerity of the early World Wide Web and leaves you recoiling in disgust at the dumpster fire inanity of today’s online world. But best of all, unlike most first-person games where your character is pointing a gun at the bottom of the screen, here you have a giant thumb and you walk around giving the “thumbs-up” to boost your social score. You’ve heard of the walking simulator. I suppose you could call this a bushwalking simulator. 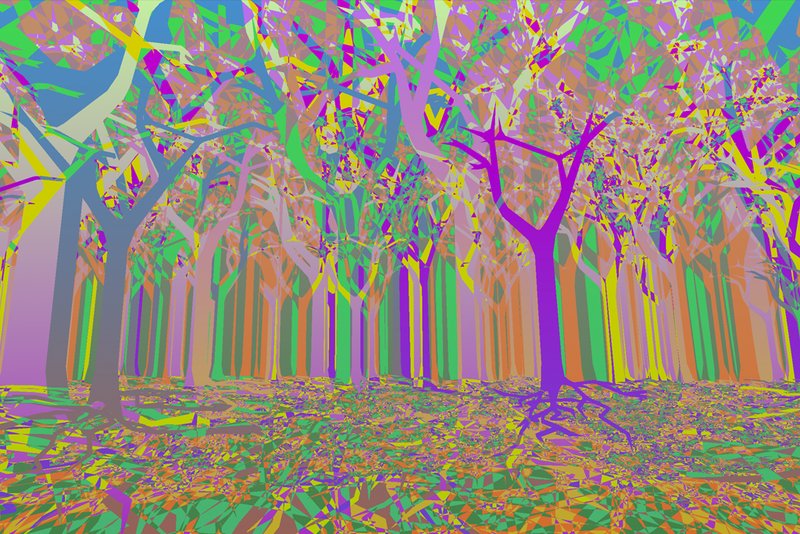 You’re in a forest of many trees, each a different colour, their branches overlapping to form a kaleidoscopic canopy. Walk into the trunk of one tree and you enter a new forest, the colours shifted, the area reimagined. There’s nothing more to do, but you could be lost in here for hours. 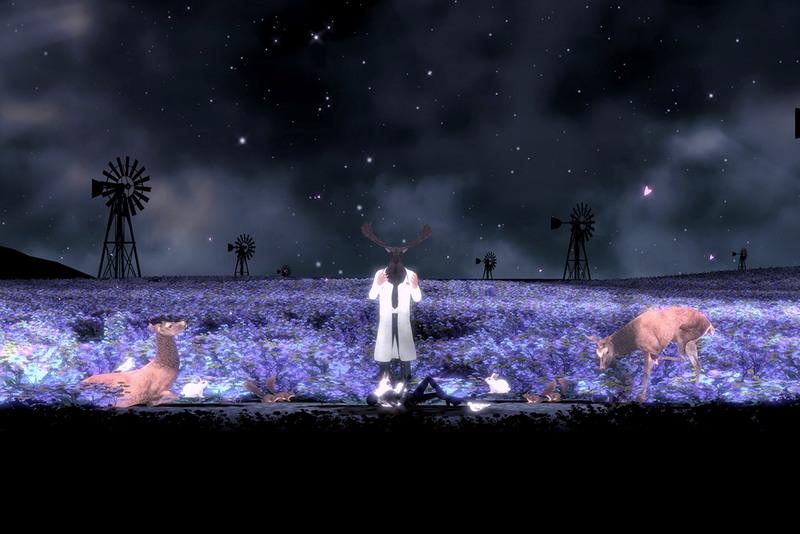 Themes of queer love and gender identity are expressed with a rare tenderness in this dreamlike platformer. The eponymous JJ must brutally dismember herself to navigate through each level in search of her missing friend, and in doing so come to terms with her own body and how she wants to present herself to the world. The game opens with the line: “This game was made with the belief that nobody is wrong for being what they are.” It’s a sentiment more games should employ. 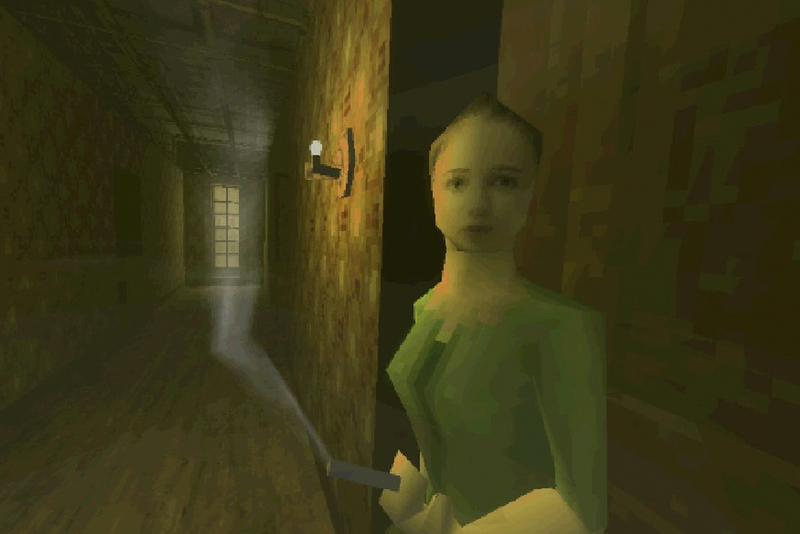 Looking like some long-lost ‘90s PlayStation cult classic, all blocky characters and blurry textures, Paratopic is a warped, mesmerising fever dream, by turns hilarious, excruciating and creepy-as-hell. Ostensibly a mystery about illicit videotapes, its plodding, disconnected series of narrative hallucinations feels more like an outtake from Twin Peaks, The Return. You’re in a lovely little park with a whole kit of pigeons. You can throw some seeds on the ground to feed the pigeons. You can crouch down next to a pigeon. 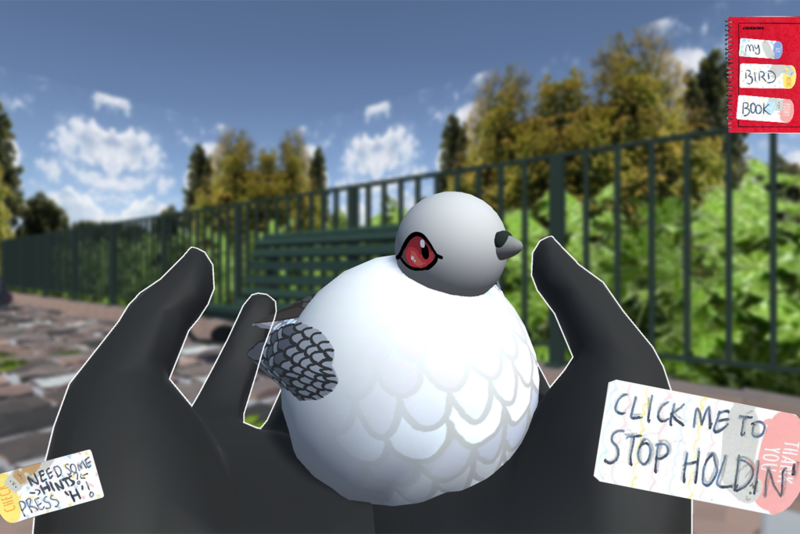 You can pet a pigeon. You can pick up a pigeon and roll it around in your hands. By the end, you’ll have a whole book full of notes about your new pigeon friends. I had to include one bad game on this list. 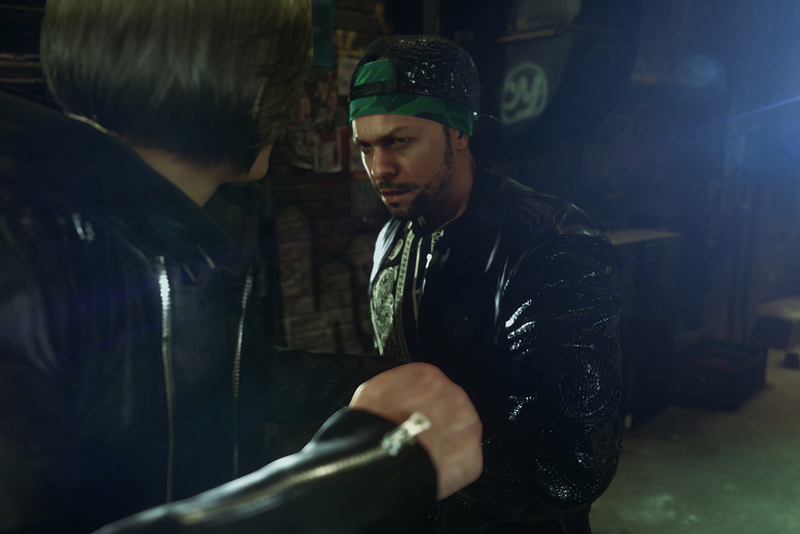 As luck would have it, not only is Square Enix’s The Quiet Man a very, very strange game, it’s also quite possibly the worst game released all year by a major publisher. In a pyrrhic victory for representation, you play as a deaf man who, for utterly inexplicable reasons, finds himself stalked by Hispanic gangs and thrown into endless simplistic brawls. 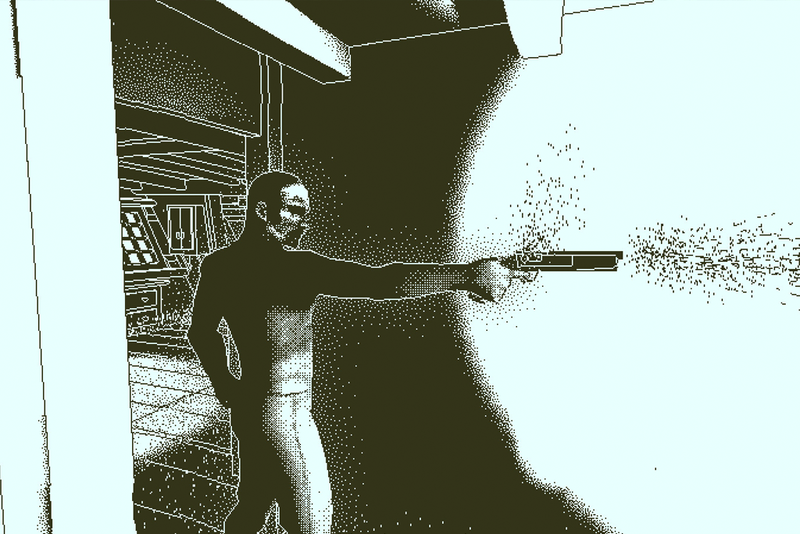 The whole thing plays out in muffled, near-silence–because YOU ARE DEAF!–but even though your character can lip-read and communicate with other characters none of this information is conveyed to the player. We were left speechless. Rockstar’s gritty cowboy sim plays it safe in a lot of ways and will feel familiar to anyone who’s played one of the studio’s games since Grand Theft Auto 3. Yet at the same time, in just as many ways, it refuses to play by the rules of other open world games. While the likes of Assassin’s Creed and Spider-Man sand off every rough edge in an attempt to ensure you have the smoothest possible play experience, Red Dead enjoys making things difficult for you. 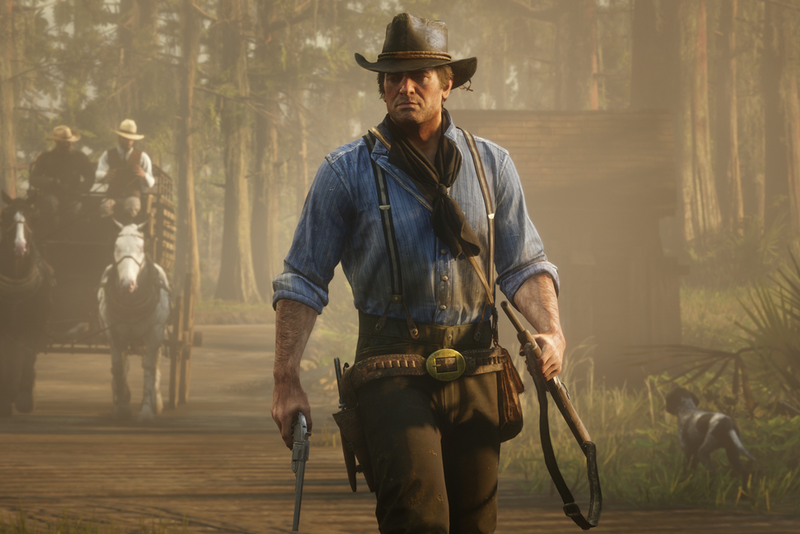 Like a stubborn mule steadfastly resisting your goadings, it can feel like it doesn’t care about you at all; in the end, you’ll do it Rockstar’s way or not at all. A cyberpunk dystopia where one megacorporation plies the population with behaviour-modifying implants. You play both as a bartender who can calibrate mixed drinks to precisely manipulate the emotional state of any customer, and as an android who installs new personality modules in people via a curious pottery wheel mini-game. 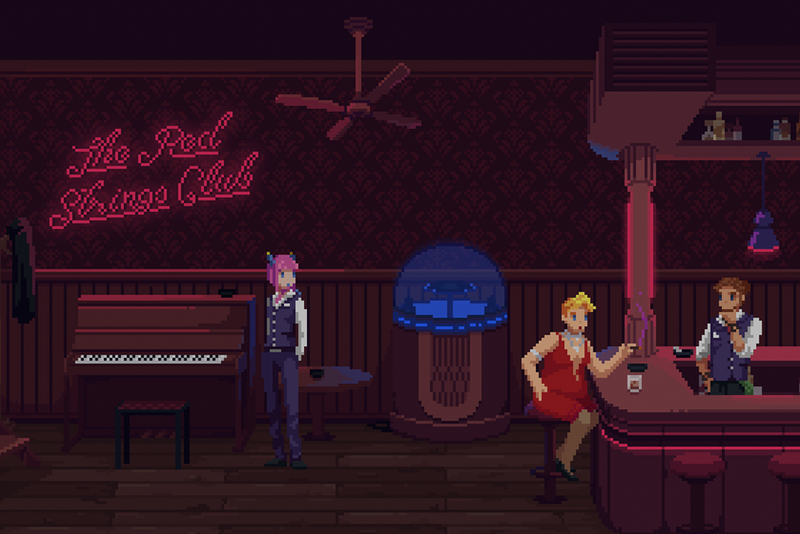 The Red Strings Club has more to say about transhumanism in one conversation than David Cage does in a 2,000-page script. The typical video game offers up an escapist fantasy. 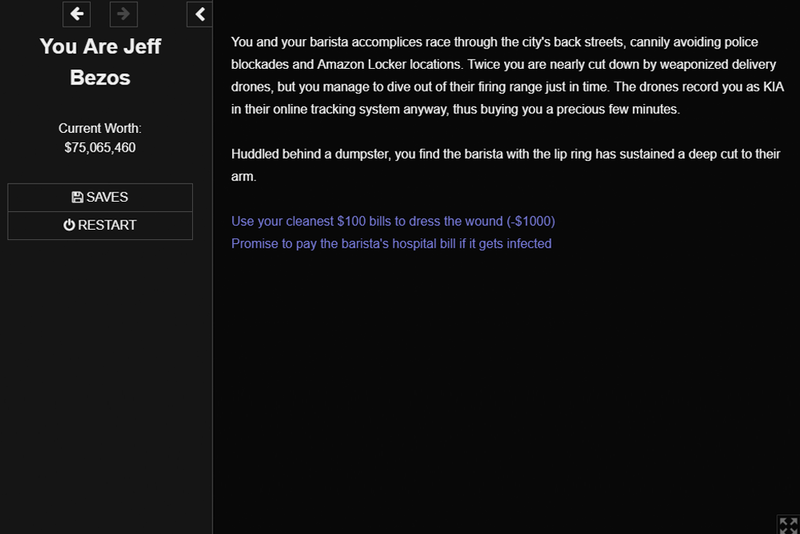 Maybe you’re playing as a sharpshooting cowboy riding into a fictional New Orleans, maybe you’re the commander of a spaceship saving the galaxy and seducing every alien you meet. Or maybe–just maybe–you’re an insurance adjuster documenting claims to calculate how much to pay out to the families of each victim of a 19th-century shipping tragedy. This remarkably unusual premise is merely the starting point for a gripping mystery that is every bit as startling as its dramatic, monochromatic art style. 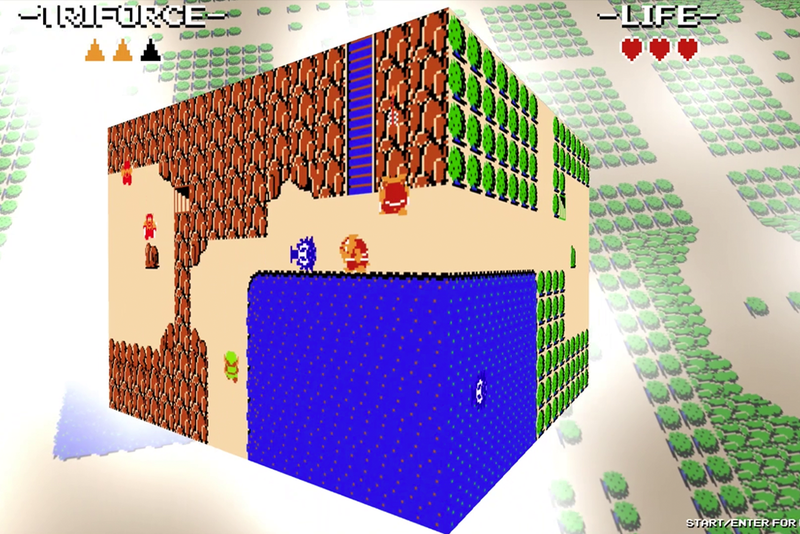 This short, experimental mod remixes the original Nintendo Entertainment System Legend of Zelda in a way that’s both instantly familiar and completely alien. Short sections of the overworld and various dungeons are remapped across 3D objects–a donut, a sphere, a cylinder–stretching the 2D playfields into new shapes and forcing even the most ardent Zelda player to reconsider how you navigate the reconstituted topology. At some point in this all-text hypothetical, my Jeff Bezos was huddled behind a dumpster having fled a cafe with a Furiosa-tattooed barista after the police raided the premises because I had spent billions of dollars of the Amazon owner’s fortune on providing homes to the homeless and clean water to the people of Flint, Michigan. You’ll be protesting in the streets after you play it. David Wildgoose is a freelance video game and technology journalist, and co-host of the @7outof10cast. He is the ex-editor of HYPER, PCPowerPlay and Kotaku Australia.